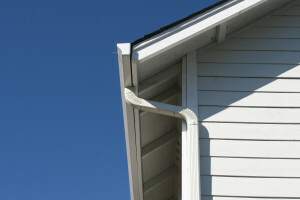 Are the rain gutters at your home in Tijeras, New Mexico, or a surrounding area, beginning to crack, leak, or break? If so, it is time to turn to the professionals at ABC Seamless of Albuquerque for an upgrade. We have proudly served the area since 1989 by offering custom fabricated seamless steel siding and gutters to local homeowners. And, our gutters stand out from the rest of the competition in the area because they are made to be 30 percent larger than standard gutters and because of the seamless nature of our gutters, they are far more effective at directing rainfall away from your home. Additionally, we proudly stand by the work that our installers perform by offering an impressive lifetime warranty on all of the products we install. When combined with the already outstanding manufacturer warranties available on our products this will allow you to rest assured your investment remains protected for years to come. To learn more information about the impressive rain gutters and gutter covers we install for residents of Tijeras, NM, and the surrounding communities, contact ABC Seamless of Albuquerque today. Alternatively, feel free to stop by our spacious showroom to see all of our gutters and siding products in person.